Pat Boone’s most serious competition as the top pop usurper of R&B hits was likely Georgia Gibbs, whose mid-‘50s run of smashes for Mercury was loaded with bowdlerized renditions of current black blockbusters. Gibbs was no kid by then—she was in her mid-30s and a veteran of the big band era. Born Frieda Lipschitz in Worcester, Massachusetts on August 17, 1919, she spent some of her time as a child in an orphanage after her father died. Barely into her teens, Frieda was singing over the Worcester radio airwaves, and she began singing in area vaudeville houses as well, including the Raymor in Boston. At 17, Frieda joined The Hudson-DeLange Orchestra for nearly a year’s worth of one-nighters, performing as Fredda Gibson. From there, she sang with the orchestras of Hal Kemp, Tommy Dorsey, Artie Shaw, and Frankie Trumbauer, appearing on Shaw’s 1942 hit Absent Minded Moon. The chanteuse had changed her name to Georgia Gibbs by 1943, when she was a regular on radio’s ‘Camel Caravan’ (host Garry Moore dreamed up the introduction ‘Her Nibs, Miss Georgia Gibbs,’ and it stuck). Gibbs began recording as a solo for Majestic in 1946, enjoying her first hit in ’50 with the chirpy If I Knew You Were Comin’ I’d’ve Baked A Cake for Coral. Mercury Records pacted Georgia in 1951. There she enjoyed a string of successful platters, notably her ’52 pop chart-topper Kiss Of Fire and its followup Seven Lonely Days. 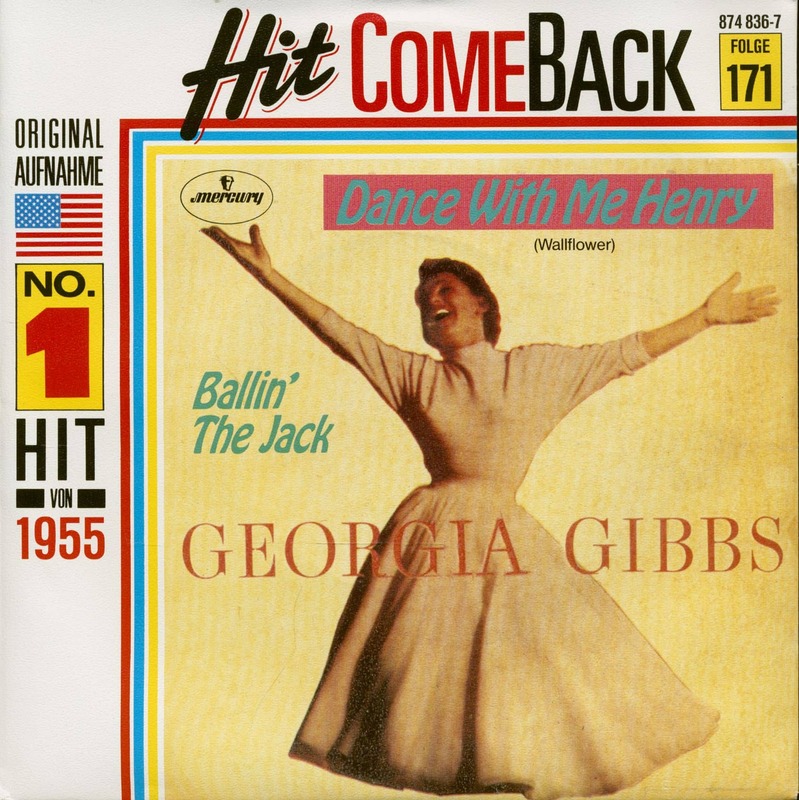 Gibbs’ parade of R&B covers commenced in 1954 with her version of Ruth Brown’s Mambo Baby. Next came Gibbs’ highly imitative rendition of LaVern Baker’s saucy ’55 Atlantic smash Tweedle Dee, with Glenn Osser serving as Gibbs’ orchestra leader. 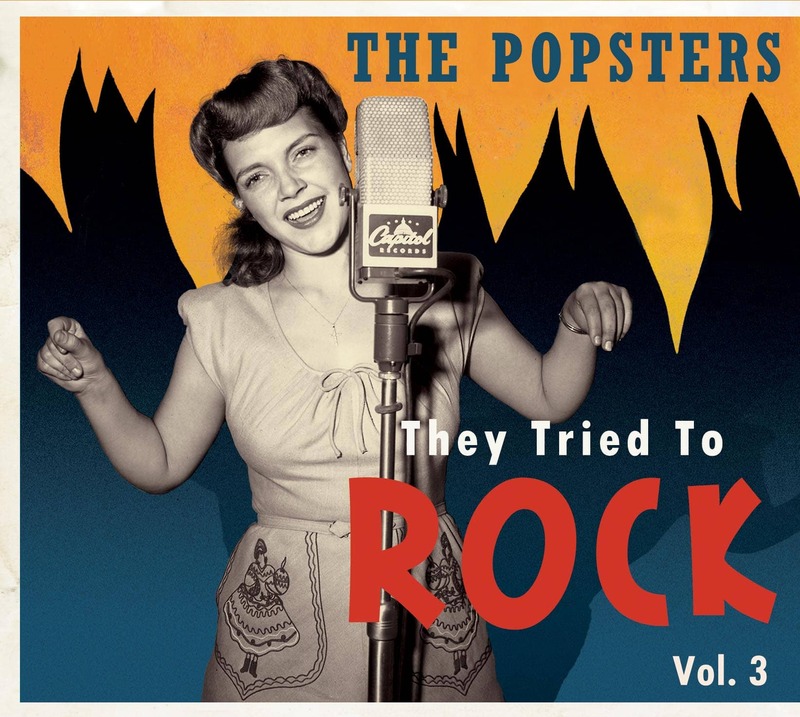 Its #2 pop impact limited Baker’s pop possibilities and made LaVern mad enough to petition the U.S. Congress regarding the sin of stealing musical arrangements verbatim (her request was denied). “I wasn't mad at her about singing the song. I was mad at her about the arrangement,” explained the late Baker. “Because when you make a recording session, that's your music. You pay for that music. So that's my music.” Undeterred by the controversy, Georgia came right back with a cleaned-up version of Etta James’ R&B chart-pacer The Wallflower. 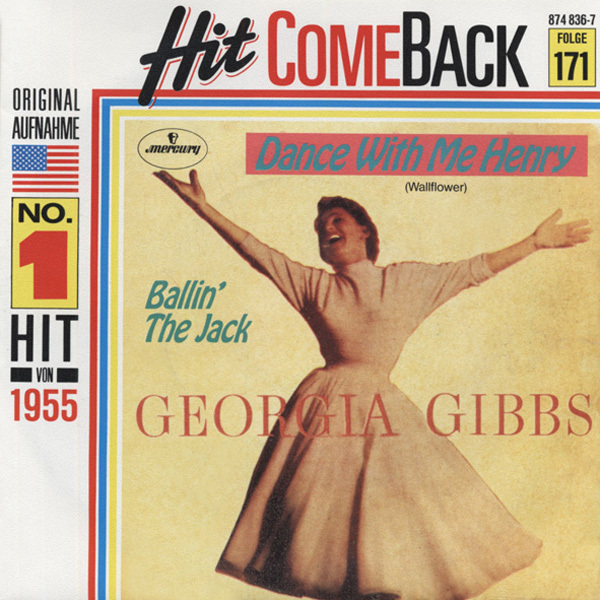 Even the title of Gibbs’ Mercury remake had been sanitized—she called it Dance With Me Henry. Georgia’s version was a #1 pop smash; teenaged Etta’s far superior original didn’t even show up on the pop hit parade. She wasn’t too thrilled about that. Georgia moved over to RCA Victor in 1957. Although she’d cut down somewhat on the covers, Georgia made an exception late that year when Jerry Lee Lewis came roaring out of Memphis with his thundering Sun Records smash Great Balls Of Fire. New Yorkers Otis Blackwell and Jack Hammer had collaborated on the song in preparation for a rock and roll movie, ‘Jamboree,’ that Blackwell was working on as musical director. “(Jack) brought me the idea for ‘Great Balls Of Fire,’” said the late Blackwell, the compositional genius behind Fever, Don’t Be Cruel, All Shook Up, and Breathless. “They switched it over and sent it to Jerry Lee to cut it.” The piano player tinkled instead of pumped on Gibbs’ RCA cover, but a savage guitar solo afforded it some rock and roll legitimacy. A revival of Ernest Tubb’s country classic I’m Walking The Floor Over You earlier that year was Gibbs’ only RCA hit parade appearance. She took her last chart bow the next year with The Hula Hoop Song for Morris Levy’s Roulette Records. But Gibbs kept on recording for Kapp, Imperial, and Epic until she faded out on wax midway through the ‘60s. Georgia died of leukemia in New York on December 9, 2006 at 87. 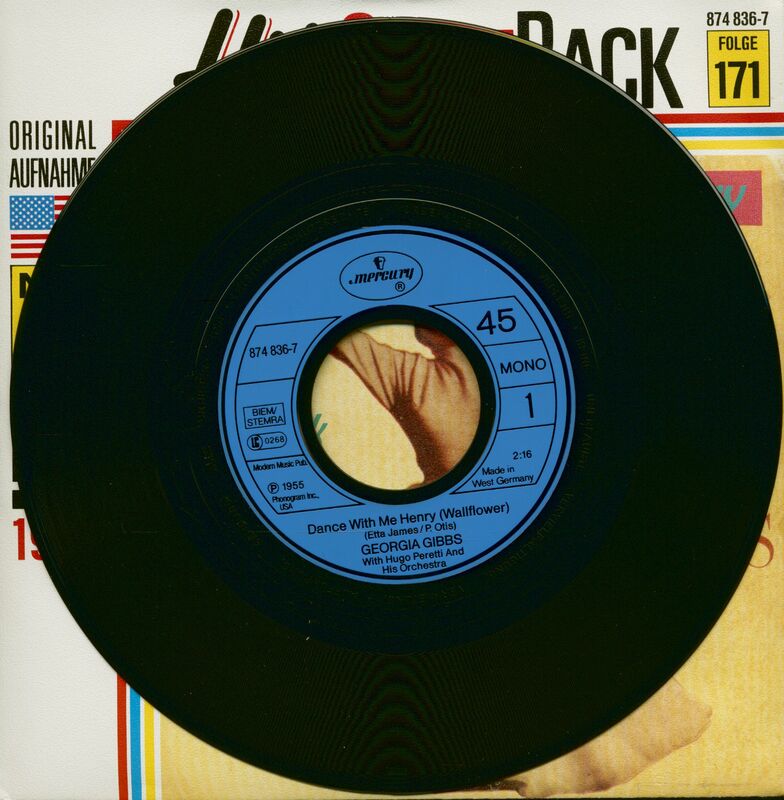 Kundenbewertungen für "Dance With Me Henry - Ballin' The Jack (7inch, 45rpm, PS, BC)"